A package of 10 pcs. costs 600 USD. 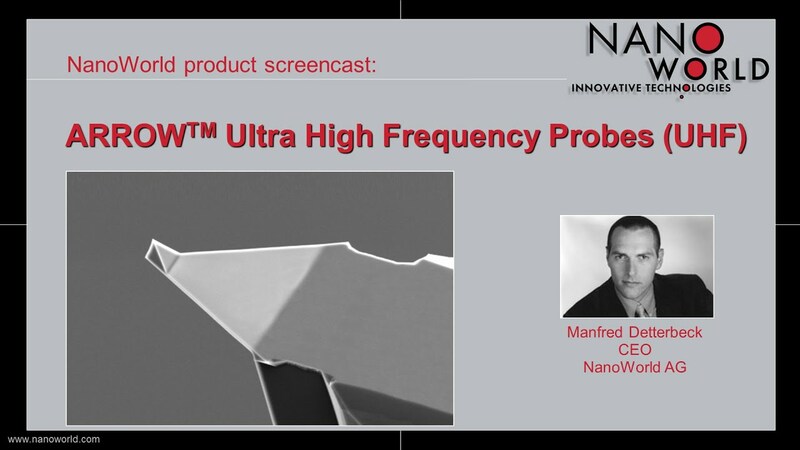 NanoWorld Arrow™ ultra high frequency AFM probes are capable of resonating with a very high frequency of up to 2.0 MHz. This probe type combines outstanding sensitivity with fast scanning ability. All probes of the Arrow™ series are made from monolithic silicon which is highly doped to dissipate static charge. They are chemically inert and offer a high mechanical Q-factor for high sensitivity. 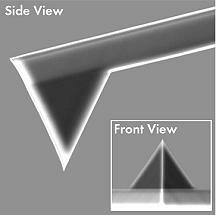 The probes feature a cantilever with a triangular free end and a tetrahedral tip with a height of 3 µm. 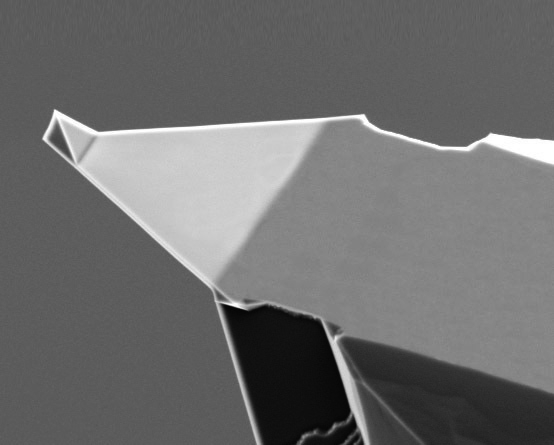 Additionally, this AFM probe offers an excellent radius of curvature. If needed, specific cantilever thicknesses can be selected within very narrow tolerances for an additional fee. The gold reflex coating consists of a 35 nm thick gold layer deposited on the detector side of the cantilever which enhances the reflectance of the laser beam by a factor of 2.5. Furthermore it prevents light from interfering within the cantilever. As the coating is almost stress-free the bending of the cantilever due to stress is less than 2 degrees.